Nothing great comes easy. I rarely want to drag myself out of bed early on my days off, especially if it's a cold, frosty December morning. But how I was rewarded! The sunrise over Caldecotte Lake that morning was magnificent. 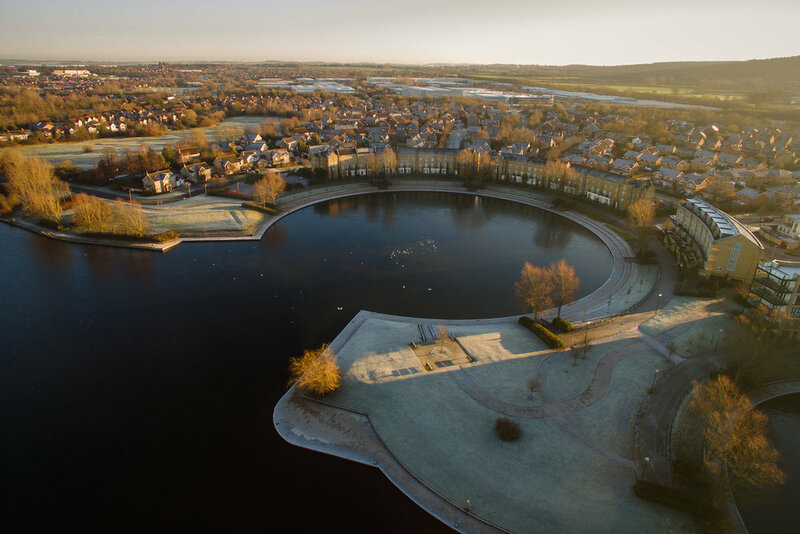 While our fingers and toes froze, my dad and I watched a golden Milton Keynes unfurl in front of the drone's camera. Aside from the swans and a single kayak on the lake, it felt like we were watching the whole town awake.